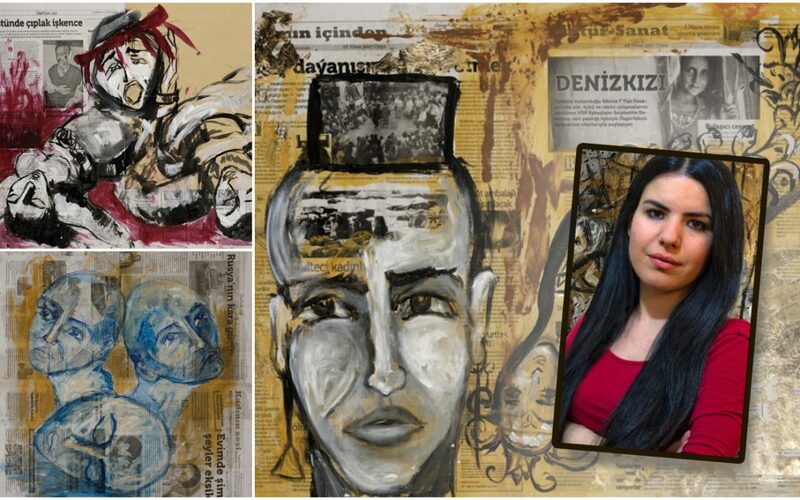 Zehra Dogan, the Kurdish journalist and who has been under arrest on terror charges for over a year, has said the paintings she made in prison are being seized and destroyed by the guards. “I am subjected to pressure mostly because of my paintings and drawings. Our writings and drawings are thoroughly examined during the searches by prison guards. In most cases, they seized the dyes that I derived from wastes, birds’ feces and period blood. They seized my 20 paintings and said: ‘It is forbidden, we disposed them. What on earth does disposing mean? They are like disposing a bomb,” Dogan told Gazete Karinca in an interview conducted via lawyers on July 20. Doğan was handed down a prison sentence of two years, nine months, 22 days for depicting the destruction caused by military operations carried out in the Kurdish-majority Nusaybin district, and was sent to Diyarbakır Prison, in July, 2017. Dogan also thanked British artist Banksy for his powerful mural he made in New York in protest of the journalist’s imprisonment.